So just set about my deliveries today and pulls up at the 4th drop and the guys got a extension cord ran from the house and a battery charger attached to his knackered old Renault. Well you know what that means so opened the convo with ''Has it ran out of electricity'' and he muttered something about what a heap of s**t his motor was and proceeded to sign for his parcel. Just didn't expect to need a degree in Advanced Electrical Wiring to use them! This is the first time I've Jumped from the Berlingo and possibly the last! 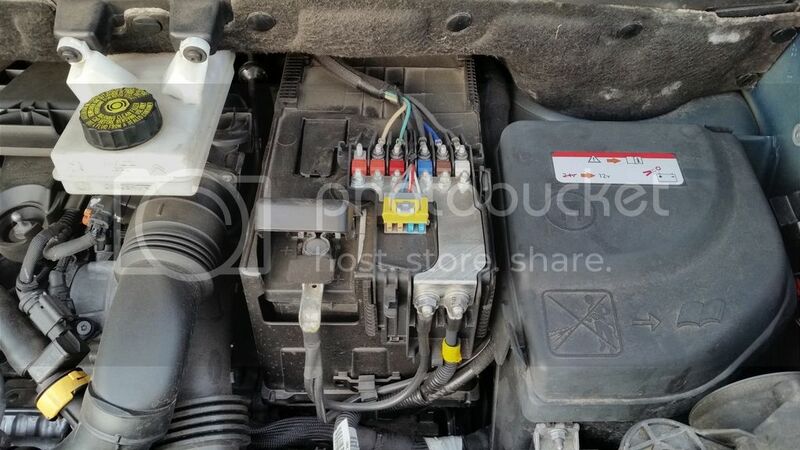 Could someone please explain the 'Correct' procedure for connecting jump leads to this contraption. Positive lead clamp wouldn't fit on the Positive Terminal thanks to the plastic so clamped it to the metal bar running down to the 2 wires. Then was the Negative, Clearly you're never going to get it on the Battery so where is it officially meant to go? He suggested just clamping it to the bonnet catch but that made no connection. We then noticed this Stud that turned out to be the connection we needed but is that what you're supposed to use it for? And could someone explain what this is meant to mean? 24V? His old banger fired into life with a cloud of diesel soot and barely made my Berlingo labor under the load but it really didn't seem like the right way to do it to me. Was that right or should I just keep walking next time someone asks if I've got Jump Leads? Also, If I were ever to need Jumping myself (Unlikely given you can't even listen to the radio for more than 25mins without it 'Eco Power Saving' off) is it the same place? You were a brave chappie , considering the Renault has also got the French electrics. 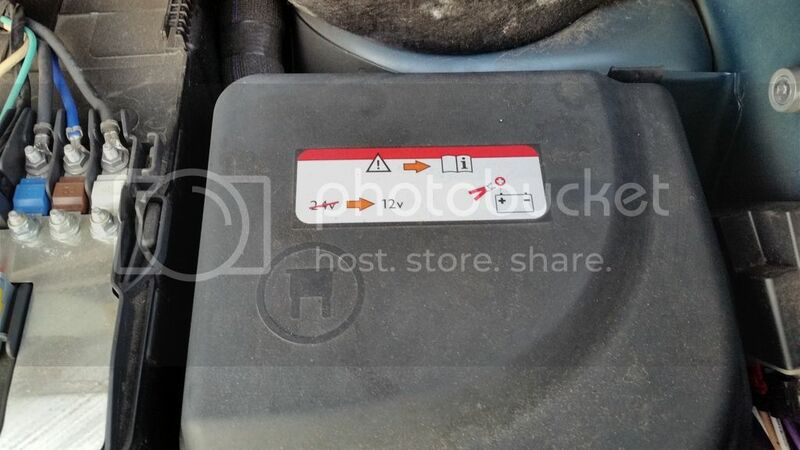 Some cars have the battery inaccessibly placed in the boot or under seats and have two studs under the bonnet to connect jump leads. Not many recommend connecting directly to the battery earth to jump saying to use a point on the body or engine away from the battery. And to add to the Curse, the Red plastic cover that goes on top of those wires has A Peugeot log on it! 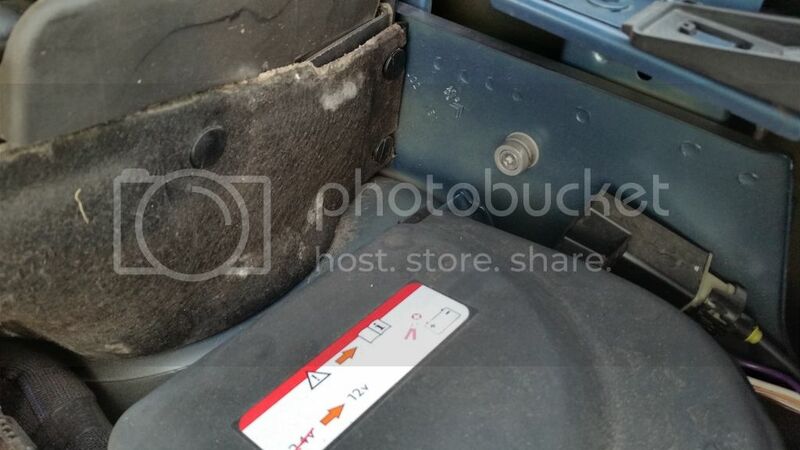 The stud is for jump starting your van if battery is flat but it obviously works both ways.